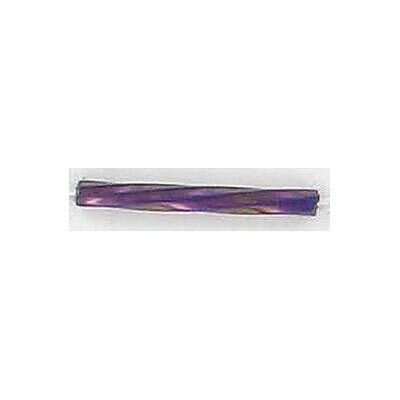 Bugle Beads - Frabels Inc.
Bugle bead, twisted, 20mm, purple iris. (SKU# GBBTW/59195). Sold per pack of 250 grams. Bugle bead, twisted, 20mm, blue iris. 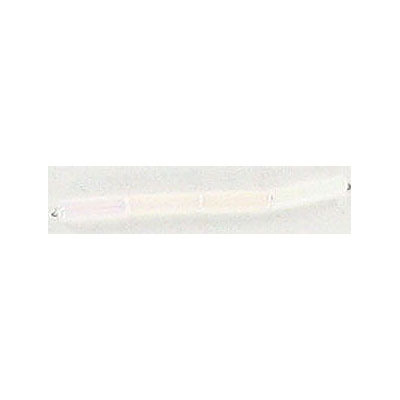 (SKU# GBBTW/59135). Sold per pack of 250 grams. 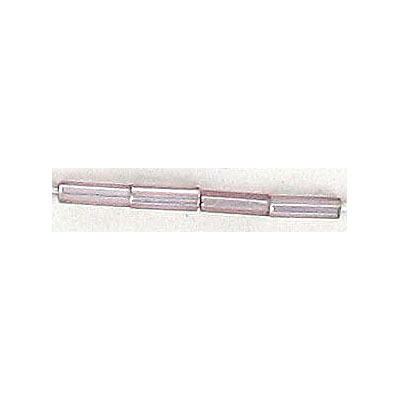 Bugle bead, twisted, 20mm, jet. (SKU# GBBTW/23980). Sold per pack of 250 grams. 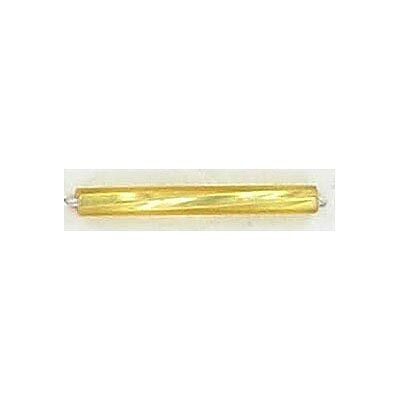 Bugle bead, twisted, 20mm, gold. (SKU# GBBTW/17020). Sold per pack of 250 grams. 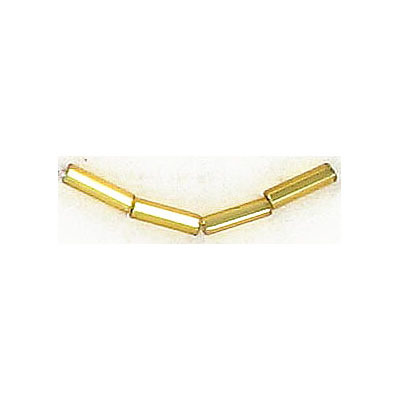 Bugle bead, rocaille, 5x3mm, flat gold. (SKU# GBB5X3/17050). Sold per pack of 500 grams. Bugle bead, size 4, strung, crystal iris. (SKU# GBB4S/58135). Sold per pack of 500 grams. Bugle bead, size 3, strung, blue iris. (SKU# GBB3S/59135). Sold per pack of 500 grams. Bugle bead, size 3, strung, crystal iris. (SKU# GBB3S/58135). Sold per pack of 500 grams. Bugle bead, size 3, strung, green. (SKU# GBB3S/57620). Sold per pack of 500 grams. Bugle bead, size 3, strung, blue. (SKU# GBB3S/37090). Sold per pack of 500 grams. Bugle bead, size 3, strung, blue. (SKU# GBB3S/37060). Sold per pack of 500 grams. Bugle bead, size3, strung, light amethyst. (SKU# GBB3S/27010). Sold per pack of 500 grams. Bugle bead, size 3, strung, gold. (SKU# GBB3S/17050). Sold per pack of 500 grams. 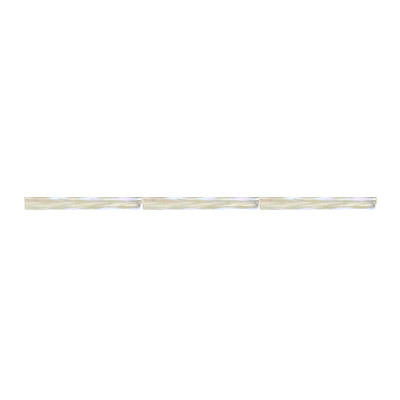 Bugle bead, size 3, strung, clear. (SKU# GBB3S/00040). Sold per pack of 500 grams. 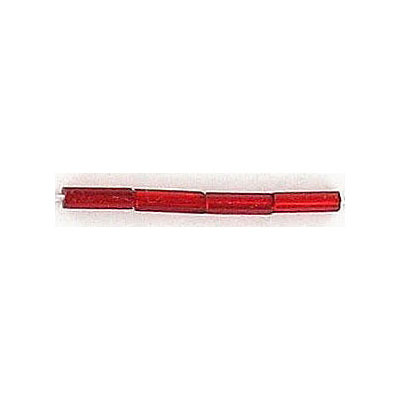 Bugle bead, size 3, loose, red. (SKU# GBB3L/97090). Sold per pack of 500 grams. 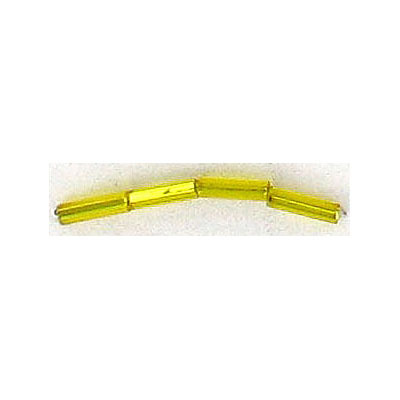 Bugle bead, size 3, loose, yellow. (SKU# GBB3L/87010). Sold per pack of 500 grams. 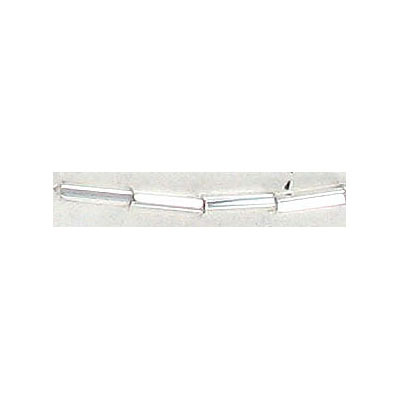 Bugle bead, size 3, loose, silver. (SKU# GBB3L/78102). Sold per pack of 250 grams. Bugle bead, size 3, loose, emerald. (SKU# GBB3L/67230). Sold per pack of 500 grams. 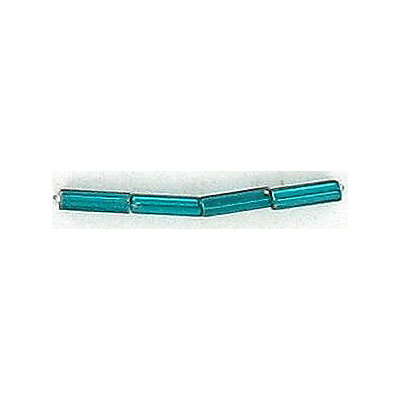 Bugle bead, size 3, loose, blue iris. (SKU# GBB3L/59135). Sold per pack of 500 grams. 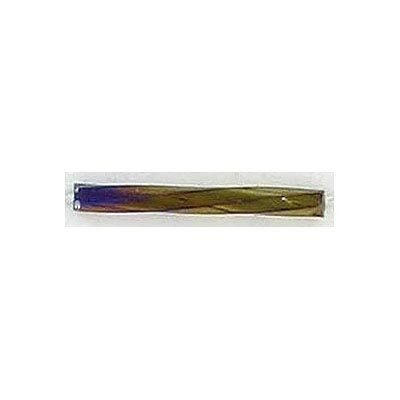 Bugle bead, size 3, loose, crystal iris. (SKU# GBB3L/58135). Sold per pack of 500 grams. 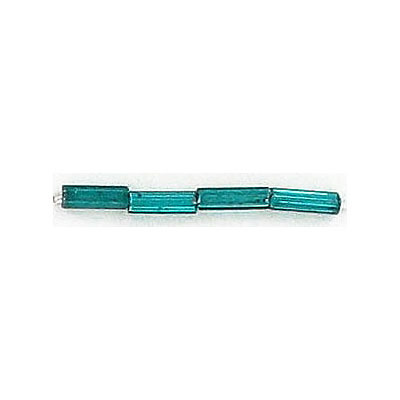 Bugle bead, size 3, loose, sea green. (SKU# GBB3L/57710). Sold per pack of 500 grams. Bugle bead, size 3, loose, white iris. (SKU# GBB3L/57205). Sold per pack of 500 grams. 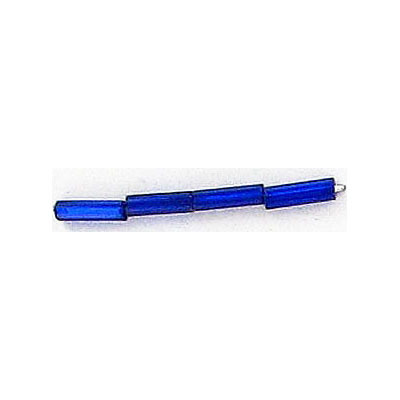 Bugle bead, size 3, loose, blue. (SKU# GBB3L/37100). Sold per pack of 500 grams. 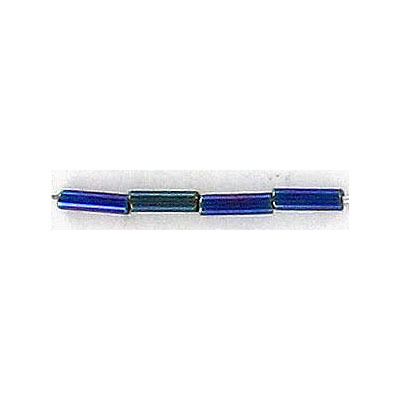 Bugle bead, size 3, loose, navy. (SKU# GBB3L/37080). Sold per pack of 500 grams. 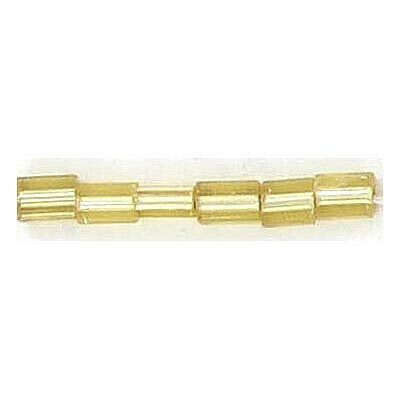 Bugle bead, size 3, loose, gold. (SKU# GBB3L/17050). Sold per pack of 500 grams.